When a program is executed, some processes may be created by the parent process. 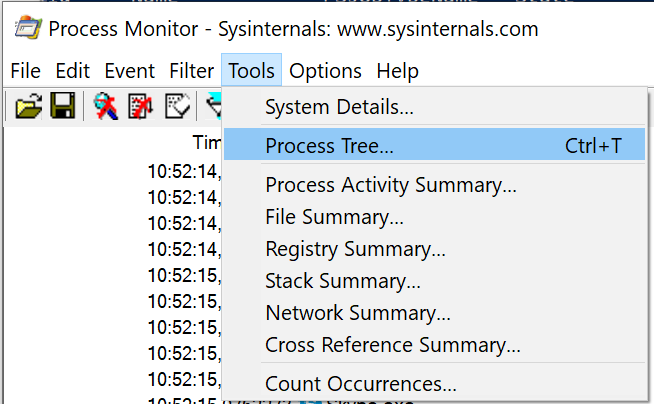 Especially, if a program is malware, created (or forked or even injected) sub-processes will be named as a systemic process such as svchost.exe. Is there any way to capture the PID of sub-processes in windows? As mentioned by anion, you can use several graphical applications to see this information. One such application built-in to Windows is the Task Manager. Right-click on the task bar and you will see it in that menu. If you prefer command-line, you can use tasklist (again, built-in to Windows). If you are trying to perform malware analysis, and you are looking for an automated solution, then I suggest using a sandbox. A popular free and opensource one is Cuckoo Sandbox. If you are analyzing the malware by hand, then you will have to look for the different ways that you mention. CreateProcess takes a pointer to a PROCESS_INFORMATION structure as its tenth argument. After CreateProcess returns, you can look at this structure to find the PID of the child. 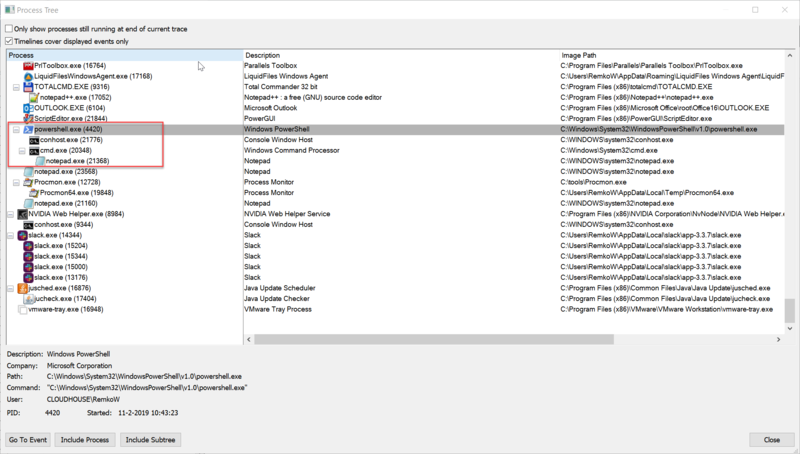 A simpler way would be to breakpoint on CreateProcess, modify the dwCreationFlags to include SUSPENDED, step-over the CreateProcess call, then run either Task Manager or tasklist to see the child process's PID. OpenProcess is easier. It takes the PID as the third argument. So when you see a call to OpenProcess, just look at the arguments to find the PID. Depending on which tools you are using, you may be able to script this, such as with IDA Python, OllyScript, or x64dbg's or WinDbg's built-in scripting. Not the answer you're looking for? Browse other questions tagged malware python process or ask your own question. Alternative to CaptureBAT on Windows 7? Why/how is GDB allowed to attach to a process and read/write to attached process' address space? Where can I, as an individual, find clean programs to analyze?